Calendar advertisements promoting the JLI shabbaton in Crown Heights — “Shabbat in the Heights” — is now ready for you to download. 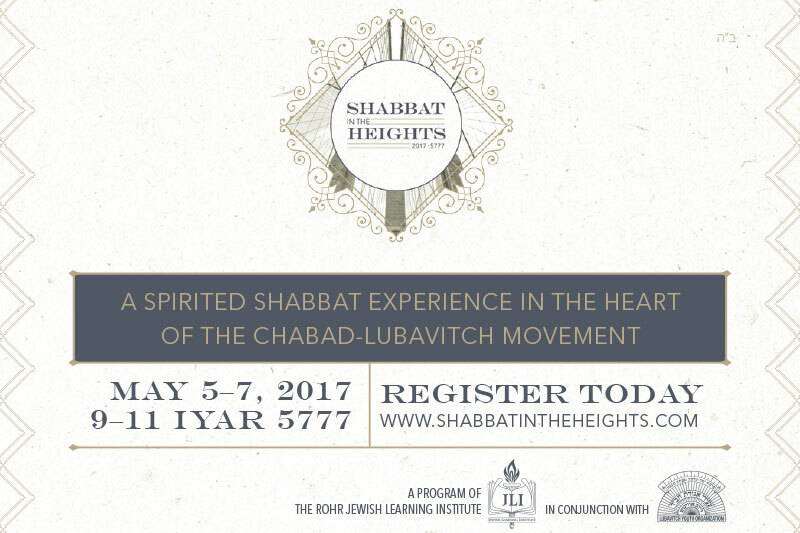 The shabbaton will be taking place בע”ה Shabbos Parshas Acharei-Kedoshim 9-11 Iyar, 5777 / May 5-7, 2017. Click here to download your calendar ad. This entry was posted in Calendar Ads, Shabbat in the Heights. Bookmark the permalink.